This workstation delivers powerful performance with both Intel® Xeon® and Core i™ processing and NVIDIA® Quadro® graphics. And now it’s even capable of rendering VR. 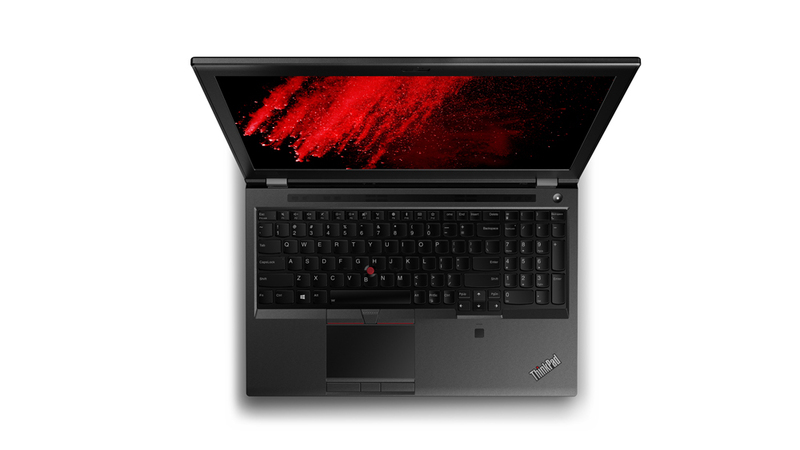 Primed for security, the ThinkPad P52 encrypts data with TPM, provides a match-on-chip fingerprint reader, and enables facial login with the combined use of the optional IR camera and Windows Hello. There’s even an integrated privacy cover* for the webcam to ensure that it’s only used deliberately. What’s more, with the option of 4G-LTE from the factory, out of range WiFi is never an issue for ongoing connectivity. 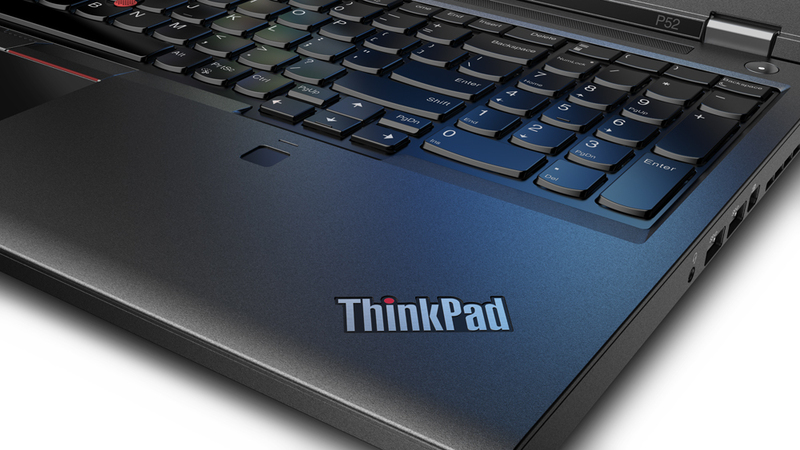 With the new Intel® Xeon® or Core™ i 6 core CPU, the ThinkPad P52 delivers pure power. With the option of the NVIDIA® Quadro® P3200 GPU, the ThinkPad P52 is our first 15.6” mobile workstation capable of rendering VR. Weighing in at well under five and a half pounds, this device is primed for work on the go. Choose up to 128 GB of DDR4 memory and up to 4TB of PCIe storage, which enables larger datasets. 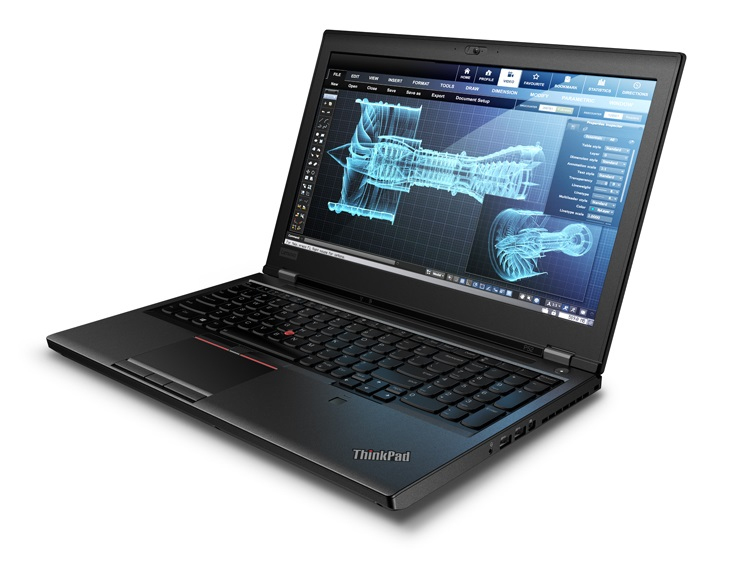 Additionally, the ThinkPad P52 includes ISV certification from all the major vendors like Autodesk®, AVID®, Bentley®, Dassault®, PTC®, and Siemens®. Move data between the ThinkPad P52 and your other devices quickly with USB-C Thunderbolt™ 3 technology —simultaneously supporting high-resolution displays and high-performance data devices. For true mobility, add the option of WWAN connectivity. By subscribing to a third-party cellular service company, you can access LTE-A networks and connect to the internet wherever you go. 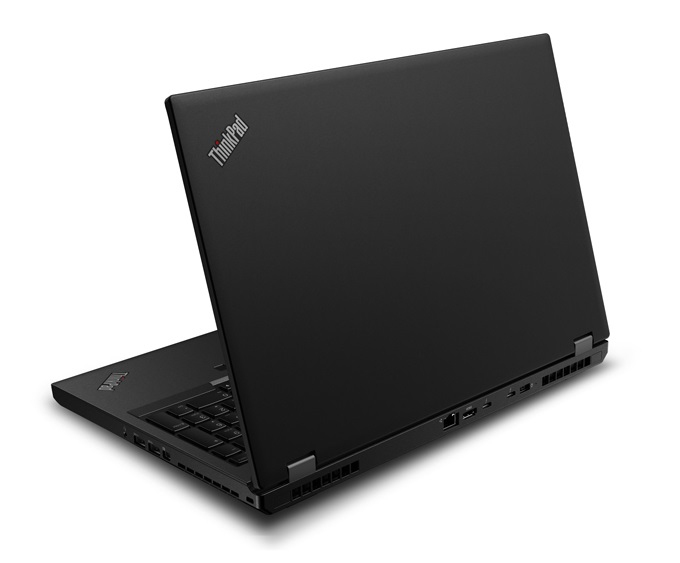 The ThinkPad P52 offers the option of a stunning 15.6-inch 4k UHD (3840 x 2160) touchscreen display. Colors are super-vibrant with 100% Adobe color gamut and 400 nit. Whether you're creating multimedia or simply enjoying it, you’ll definitely appreciate the upgraded visuals! This workstation also offers an FHD option (1920 x 1080) with 300 nit. For times you need to plug in your earbuds on the ThinkPad P52, enter a whole new world of sound. Dolby Atmos® creates an amazing headphone experience with breathtaking, moving audio that flows above and around you. Enjoy your listening experience, whether playing music, participating in a remote meeting, or even just catching a video.